Professor Emeritus William C. Banks is among the authors included in a groundbreaking handbook for the emerging fields of disaster risk management and disaster risk reduction (DRR) law. 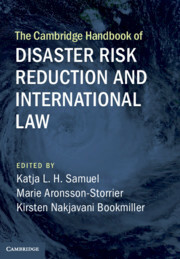 The Cambridge Handbook of Disaster Risk Reduction and International Law (Cambridge, 2019) is edited by Katja L. H. Samuel, Marie Aronsson-Storrier, and Kirsten Nakjavani Bookmiller. Banks’ chapter—”Improving Disaster Risk Mitigation: Towards a ‘Multi-Hazard’ Approach to Terrorism”—is co-authored with Samuel and Daphné Richemond-Barak, of the Institute for Counter-Terrorism in Herzliya, Israel. Yet the law sector itself remains relatively under-developed, including a paucity of supporting ‘DRR law’ scholarship and minimal cross-sectoral engagement. The new handbook introduces concepts of DRR, especially DRR law; highlights the critical need for broader cross-sectoral engagement on DRR issues; looks at the multi-sectoral approaches of the Sendai Framework, especially between law, science, and technology; contributes to the development of DRR related law, policy, and practice; and informs law and policy makers of the growing importance of DRR law through comparative analysis of multiple regimes. Write the co-editors in their introduction, “The number, intensity, and impact of diverse forms of ‘natural’ and ‘human-made’ disasters are increasing. In response, the international community has shifted its primary focus away from disaster response to prevention and improved preparedness. “The current globally agreed upon roadmap is the ambitious Sendai Framework for Disaster Risk Reduction 2015–2030, central to which is the better understanding of disaster risk management and mitigation. Sendai also urges innovative implementation, especially multi-sectoral and multi-hazard coherence. President Donald J. Trump has made it known that he would declare a “national emergency” at the US/Mexico border in order to secure funds to build a southern border wall, an effort to augment funds that Congress has appropriated for border security in a bill that the president is expected to sign. It turns out it’s going to be quite the tricky fight for Trump should he decide to actually declare a national emergency solely to get the border wall built. The national emergency declaration would be unusual in this case, as the southern border crisis lacks the immediacy of a catastrophe such as Sept. 11, 2001. The declaration also may be unconstitutional, and it probably will be challenged in the courts. National security expert Professor Emeritus William C. Banks has been in demand by top media outlets to explain the what, why, when, and how of declaring a national emergency. Trump wants the military to build the border wall. It might not be legal. (Vox | Feb. 14, 2019) After months of back-and-forth with Congress, President Donald Trump is expected to soon declare a national emergency in order for the US military to construct the southern border wall he’s promised for years. But there’s a pretty big problem with that, according to experts — namely, that he has a very weak legal case, and there’s strong political opposition to making that happen. Set aside the fact that Trump’s own administration doesn’t assess that there is a massive national security problem at the US-Mexico border. Trump believes there is, and he plans to take extraordinary measures to keep asylum seekers out of the country. William Banks, a national security law expert at Syracuse University, helped me understand what to expect in the days ahead. 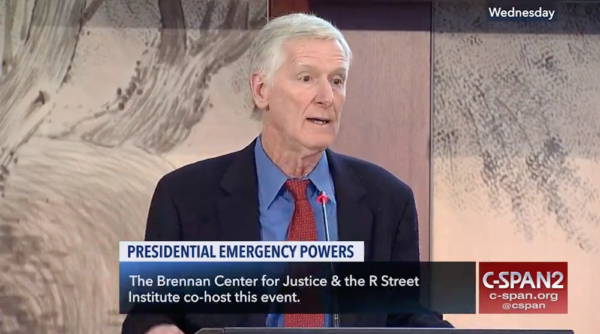 (C-Span | Jan 18, 2019) On Jan. 9, 2019, the Brennan Center for Justice and the R Street Institute hosted a symposium in Washington, DC, to consider the history, application and scope of presidential emergency powers. This portion of the symposium featured legal and policy experts—including INSCT Founding Director William C. Banks—who provided an overview of the range of executive powers that could be used by the president. The Brennan Center’s Liberty and National Security Program Director Liza Goitein also addressed President Trump’s potential application of emergency powers to build a wall along the U.S.-Mexico border. (Military Times | Jan. 5, 2019) Here’s something everyone can agree on: The way the public views veterans isn’t always accurate. In an exclusive interview marking the 30th anniversary of the Lockerbie bombing, Michael Alexander speaks to an American terrorism expert whose university is marking the loss of 35 of its students in the attack – and hears the ‘hellish’ memories of several journalists who covered the aftermath. (The Courier | Dec. 21, 2018) Cruising at a height of 31,000 feet and packed with students embarking on the long journey home to America for Christmas, passengers on board New York-bound Pan Am flight 103 were just 38 minutes into their flight from London Heathrow when at 7.03pm on December 21, 1988, a bomb exploded on board as the Boeing 747 flew over the Scottish borders. As well as killing all 259 people on the aircraft, the falling debris which hit the town of Lockerbie two minutes later, also wiped out 11 people on the ground. 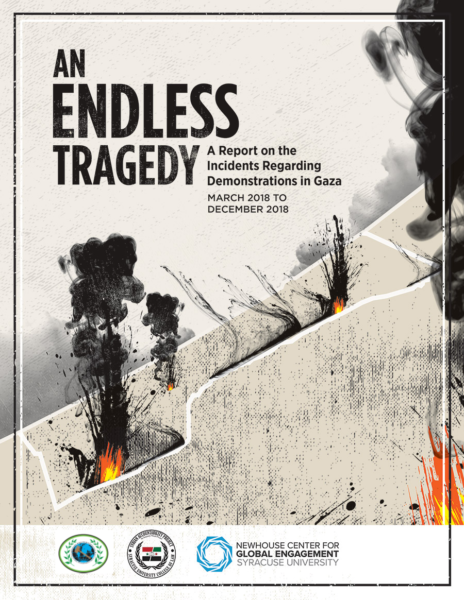 … It’s a chapter which is of particular interest to terrorism expert Dr Corri Zoli – Syracuse University’s director of research at the Institute for National Security and Counterterrorism, and a teaching professor of law. In an exclusive interview with The Courier, she revealed she was recently briefed by the FBI and Scottish prosecutors on the ongoing criminal and civil cases against alleged co-conspirators. While she knows there was controversy around al-Megrahi’s prosecution, she thinks there was “good strong evidence” for him being involved – particularly as the late Libyan leader Colonel Gaddafi admitted his country’s involvement in 2003. She’s confident that, despite the complications of a trans-national investigation and liaising with “unstable” countries like Libya, further prosecutions will take place. “I had a briefing fairly recently from the FBI and the Scottish prosecutors on this,” she said. “They talked about the various leads that they were pursuing in this long process. “They actually were closer to finding information in part because there has been destabilisation in Libya. Dr Zoli, who has worked at Syracuse since 2009, said the bombing of Pan Am flight 103 was “shocking” in all the ways that terrorist attacks are shocking. It was atypical in that hijackings were the most prevalent form of terrorism at the time and, some 13 years before 9/11, it was unusual in that it targeted Americans. It was also relatively rare for bombs to eliminate aircraft in flight. Professor Emeritus William C. Banks has been invited to speak at “Emergency Powers in the Trump Era and Beyond,” a Brennan Center for Justice and R Street Institute event to be held at the Center for Strategic and International Studies in Washington, DC, on Jan. 16, 2019. An overview of the legal framework for emergency powers in the US, focusing on some of the most extraordinary powers in the president’s legal arsenal. Perspectives from the inside, featuring former executive branch officials with direct experience in governing during emergencies. A conversation about the risks vulnerable communities face in emergencies, and how to mitigate those risks. Lessons we can draw from recent experiences with emergency powers in other nations. Among the scholars and officials joining Banks at the symposium are Fionnuala Ní Aoláin, Special Rapporteur on the Promotion and Protection of Human Rights and Fundamental Freedoms while Countering Terrorism, United Nations; Christopher Fonzone, former Legal Adviser to the National Security Council; Avril Haines, former Deputy National Security Advisor; Kim Lane Scheppele, Laurance S. Rockefeller Professor of Sociology and International Affairs, Woodrow Wilson School of Public and International Affairs, Princeton University; and Carl Wagner, former Associate Deputy General Counsel for Homeland Defense.